I can't believe tomorrow we will no longer be able to say it's 2016! I think 2017 sounds pretty crazy... It's crazy close to 2020 which blows my mind. This year has been a year filled with goals and plans of what we want in the future. We decided to add another baby to our family who we will meet next year! I can't wait to meet him and get to know our newest addition. I'm so happy Liam will have a brother, a best friend. He loves playing with other kids and being social in general. I'm thinking he might be a little jealous or just confused at first, but I think he'll love being the big brother after he adjusts to his new role. I'm eagerly awaiting the moment when he walks into my room at the hospital to meet his sweet little brother. I have no idea how a 2-year-old will react! With the anticipation of a second baby, we thought about our house and what we would need to do to change it to accommodate another person. It's been fun envisioning what we want together and figuring out what exactly we wanted together. Bill was awesome at picturing what things would look like with a few different changes, and I was able to add my favorite ideas too. It was true collaboration. There was some stress involved, but mostly, we had fun planning things out. The holiday season flew by this year for us. With everything we had going on, we didn't have much time to focus on decorating or planning anything extra for Thanksgiving or Christmas. Our Christmas tree still had a home this year in my mom's basement. It looked cute down there especially when we were opening gifts by it on Christmas Eve. It made me feel a little better it was still up and decorated this year even though it wasn't at our house. We had too many distractions this year to decorate and that's okay! Now that we are about to embark on the new year, I've been rethinking different things and trying to figure out what I want to change. The one thing I keep thinking about is my blog and writing in general. I would love to write more posts per week on my blog. I love the memories I collect here throughout the year, and I also love the chance to write more. Also, I've never gone to a blogger conference or a writing conference, and I would love to find one this year. It would be awesome to attend one and meet other people with similar goals. As far as my job with the newspaper, I have been writing a lot more per month, and I want to continue that momentum into the next year. Writing is one of my biggest passions, and I want to invest more time to this blog and my job. What goals are you thinking of for next year? 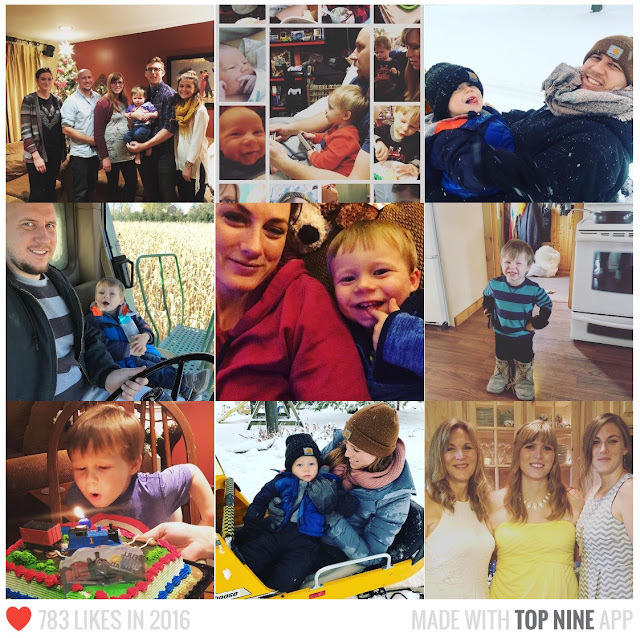 What was 2016 like for you?